Just like gambling odds always favor the house, grocery stores are essentially built to take as much of our money as possible while we’re there. The difference is that we don’t have to hit up a casino to buy stuff for dinner — so steering clear of stores isn’t really an option. Even if you’re really invested in that backyard garden or committed to ordering groceries online, you’re bound to run out milk or toilet paper at some point. Luckily, understanding the subtle ways we’re being marketed to can go a long way toward helping us keep more of our money. Here are five of the ways supermarkets secretly encourage us to spend more than we planned — and how to resist the temptation. Ever noticed how food staples, like milk, or bread and eggs, are usually placed farthest from the entrance, like the rear corner of the supermarket? That’s an intentional design strategy to keep us in the store longer, winding around the aisles, eating free samples and checking out colorful displays. Because the slower we shop, the more likely we’ll buy more. The best defense against this trickery is to come prepared with a list and try to avoid aisles that don’t contain those items. You can’t buy Oreos if you can’t see Oreos. Recently, my local supermarket was advertising a special deal on coffee with a bright-orange sign that read: “Sale! $3.99.” I love a good deal, and coffee, so they almost had me. But before adding one to my cart, I Googled the brand and found the product listed on the brand’s website for…$3.99. This coffee has now been on “sale” at my grocery store for over a month. Turns out, offering pretend deals — or discounting a “regular price” that’s much higher than an item ever sells for—is actually a pretty common retailer trick in all industries. Grocery stores often rely on another technique called “charm pricing” or the “left-digit effect,” essentially dropping a price tag by one penny — say, from $4 to $3.99. Research confirms that we’re disproportionately influenced by the left number and perceive a penny savings to be larger than it is. So don’t fall for it. Start by verifying any sales with a quick online price check. And keep in mind that just because bow-tie pasta is on sale for $1.99 doesn’t mean you’re not paying $2 for something worth less than a buck. Pay attention to the height of certain products on supermarket shelves, and you may notice an interesting pattern. Premium, name-brand items tend to live about 5 feet and 4 inches off the ground, about the eye level of the average female shopper. Similarly, the most expensive cereals are at kids’ eye level, where Count Chocula is most likely to appeal. Fortunately, a simple scan up or down the shelf for a generic store brand is an easy way to save about 25 percent. It’s no coincidence that grocery stores hit us with nice-smelling sections — baked goods, flowers — as soon as we walk in. It’s called “scent marketing,” based on the idea that we’ll spend about 44 percent more time shopping when we feel good. Nice smells = good feels. That sweet, sweet smell of rotisserie chicken wafting over from the prepared foods area is another play to whet our appetites and make us want one. While we tend to think of these as a great deal because even that’s a trick. Stores are banking on the fact that we’ll pick up some sides to go with that chicken, adding to their profit margin for our overall baskets. Plus, NPR’s Planet Money podcast found that, pound for pound, a chicken you cook yourself is cheaper than a pre-cooked one. 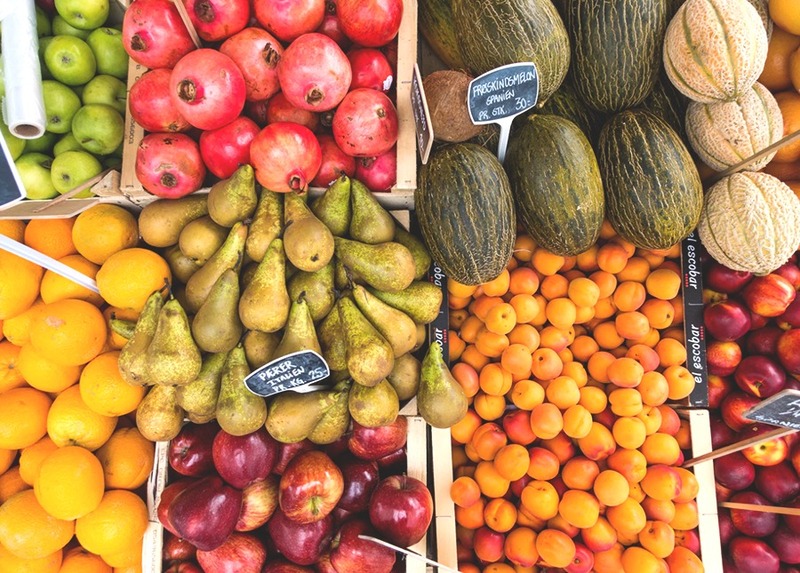 That’s generally true for other types of convenience foods, like pre-cut fruit and veggies, which end up costing about four times more than buying whole produce. Those bananas and maraschino cherries near the ice cream aren’t there to maximize our sundae-eating experience — it’s to increase our overall basket cost. This technique is a mainstay of online grocery shopping marketing, masked as a piece of friendly advice. According to one study, 77 percent of online shoppers admitted to making an impulse purchase at least once based on recommended add-ons. If killer sundaes weren’t on your radar before hitting the store, just stick with the Ben and Jerry’s.